I’ve been thinking a lot about aging recently – are my best years behind me? They very well could be! In the physical sciences such as mathematics or physics people seem to have made their important contribution in their early 20’s. Perhaps because they’re less contaminated by dogma at this stage in their career. In the biological sciences scientists are generally older, when they have had an opportunity to amass a broad and deep understanding of their field, when they make their most important contributions. What about in the arts? It was interesting then, with this as a back drop, to see an exhibition of Jasper Johns recent work ‘Regrets’ at the MoMA. Unusually this wasn’t a career retrospective, or a themed retrospective as one might expect fitting for 83 year old Johns who is referred to as America’s greatest living artist but rather a new body of work completed in the last year. The work caused such excitement among the MoMA curators that they rushed the whole body of work into the museum for an exhibition in a matter of months. They tell the story here. For an able description of the work check out this article on ArtSpace. It is interesting to see how the work evolved and spiraled out from a single photograph. An approach that might not work for all of us but is worth having in mind when it comes to exploring options to extend and deepen a body of work. 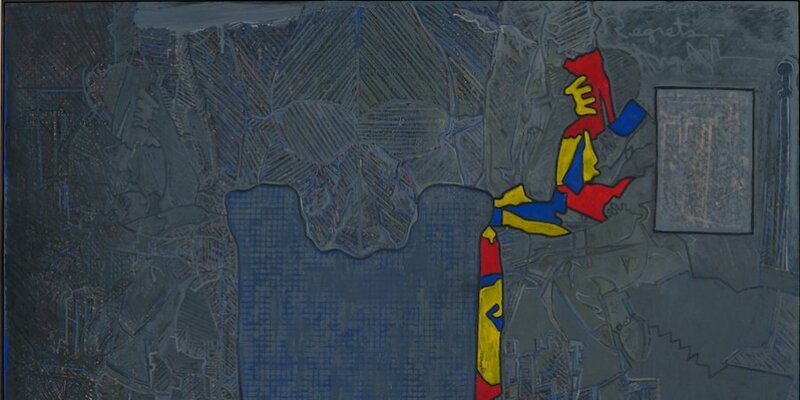 Jasper Johns: Regrets (March 15–September 1, 2014) from Above York, LLC on Vimeo.